design that suits you, and your home's characteristics. customer provided. 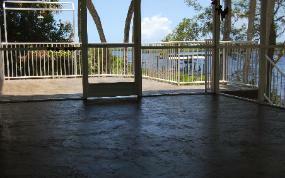 This is one of their 3 decks we resurfaced, overlooking the Sebastian River. 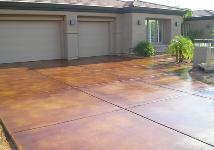 your home, on outdoor patios or commercial concrete floors such as restaurants and office buildings. all other municipalities along the Treasure coast for thier continued support of our Epoxy garage floor systems. Concrete counters page to see the latest creations.